UPDATE: Registration for this event is now available. The Hotel at the University of Maryland, Washington D.C.
International renowned experts, like Dylan Wiliam, will provide the tools you need to accelerate learning, improve pedagogy, and encourage student and teacher collaboration. Formative assessment activates students as owners of their own learning. Spend three days learning and networking with assessment leaders and practitioners from around the world. Powerful keynote speakers and breakout sessions are designed to empower teachers, leaders, and coaches to improve their formative assessment practices - to better engage students minute-by-minute, day-by-day. 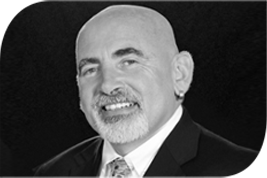 Dylan Wiliam, PhD, one of the world's foremost education authorities. Dylan has helped to successfully implement classroom formative assessment in thousands of schools all over the world. He is co-author of Embedding Formative Assessment: Practical Techniques for K-12 Classrooms, Leadership for Teacher Learning and Creating the Schools Our Childern Need: Why What We're Doing Now Won’t Help Much (And What We Can Do Instead). Dylan Wiliam stresses the importance of formative assessment as a key process for increasing teacher quality for the most significant impact on student outcomes.